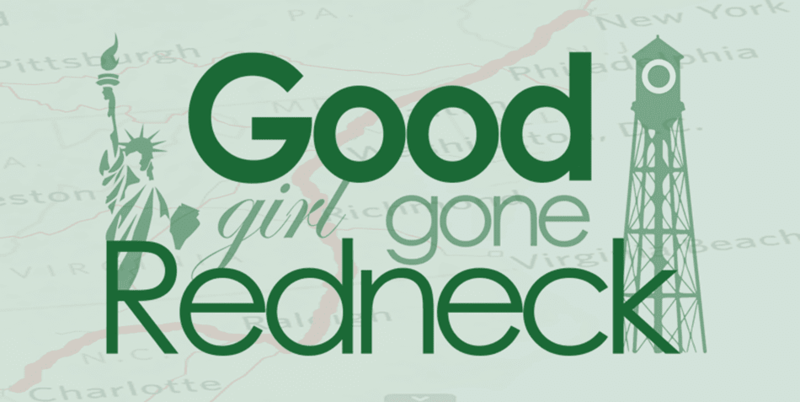 Good Girl Gone Redneck: My walk home. My feet slipped and slid. Damn it. I'm going to kill myself before I make it there. I should just take them off. But I have so many blocks to go. The streets of Queens are not the best for bare feet. I battle on. It feels so gross. I call him, hoping he will offer to come and pick me up. It's not that far, I know. But I'm still hoping. He just got in himself. He's soaked. To the bone. But he has the car. He could come and get me. I'm trying to decide the best route to take. Watching my toes slide forward, practically hitting the pavement. It's kind of cathartic, though. Assuming I don't kill myself. My ankle twists to the side. Seriously!?! I'm going to wind up in a drain. My hood pulled up, shielding my face from the elements. Splatters of cold against my cheeks. It's supposed to be summer! I yell to no one, really. I stop, wipe my cheeks. My eyes. Leaning over, I work at clearing them. I should really take these damned things off. Grasping onto my ankles for dear life. For real. Summery, once white Skechers. Ugh. Of all the days. My toes twist as I use them to hold on. I'm this close, though. I have to keep going. I can see my building. Work to get the key. Fumble. And free from the rain. I really liked your interpretation of rain. It seems very real, is it? Ooooh, I LOVED THIS. Fantastically written, my friend! I could see it all happening. I felt so anxious for you and so relieved when you reached your home. i love this. the way it's written keeps the story flowing fabulously! GREAT JOB!! I love your style! It's fresh and vibrant. Nice piece. My romantic side really thought he was going to pull up to the curb! I had much shorter walk like this in September of 99 when a hurricane came through. I had to get from school to the car and the door closest to my car was flooded out so I had to walk around in pantyhose and bare feet carrying my shoes! Wonderfully written. I definitely didn't want to be in your shoes (ha ha). This is so beautiful. I felt like I was watching you walk in the rain just thinking about how to get out. Since I don't like being in the rain this was so real to me. Ah, first world problems....You wrote this beautifully; I enjoyed it (and I'm a teacher, so believe me, it's not always enjoyable.haha). Ugh, the long walk home in the rain and the slog with the wrong footwear to boot. I was kind of hoping he'd pull up, too, but then a little concerned honestly when there was thunder and lightening and under the train... very ominous!